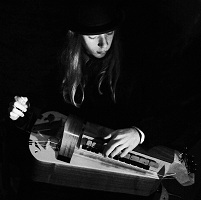 Hieronymus are father and son duo Andy Cairns and Dylan Cairns-Howarth. 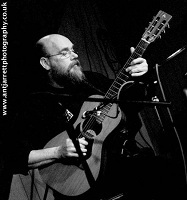 Andy plays guitar, cittern and bagpipes. Dylan, who is fourteen and a (twice) Welsh Champion fiddler also plays bagpipes and Hurdy-Gurdy. Their repertoire includes traditional dance music from Wales, Ireland, Brittany and England. Their name is a reference to the 15th Century Dutch artist Hieronymus Bosch whose fantastic paintings included images of bagpipes and hurdy-gurdies.